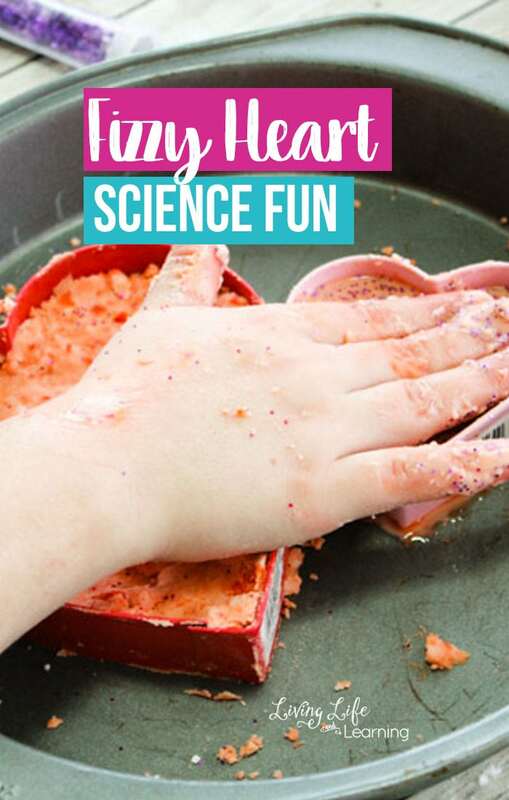 Are you familiar with the baking soda and vinegar reaction? It’s so simple, but it truly never gets old. 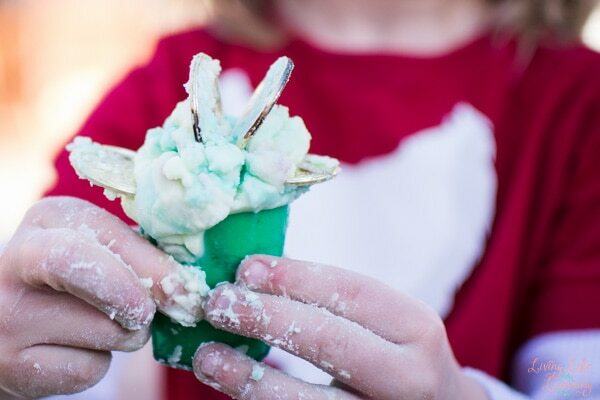 E is 5, we’ve been doing activities like these since she was only 2 years old, and she still has a blast every time. 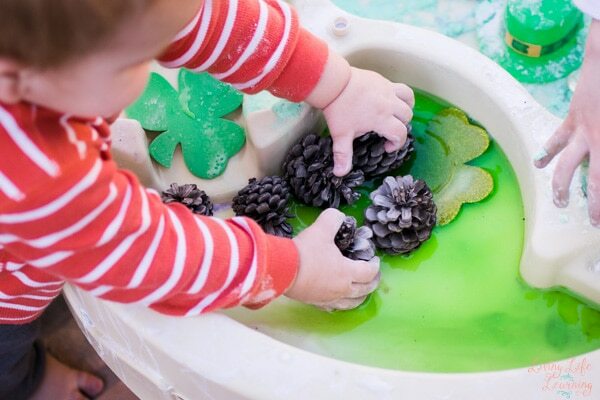 Now that N at 19 months is big enough to join in, it’s twice as much fun as a sibling activity. 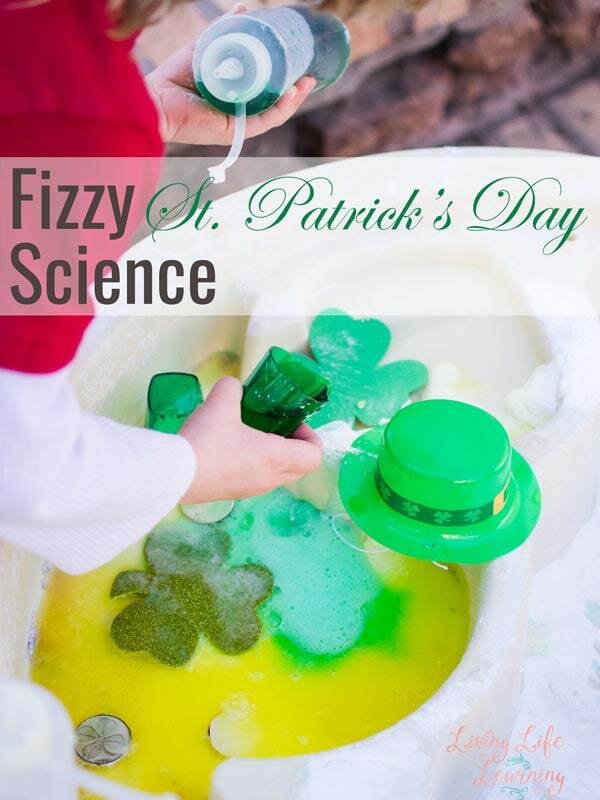 This time, we did some simple Fizzy St. Patrick’s Day Science with baking soda, yellow and green vinegar in squeeze bottles, and additional St. Patrick’s Day themed items. 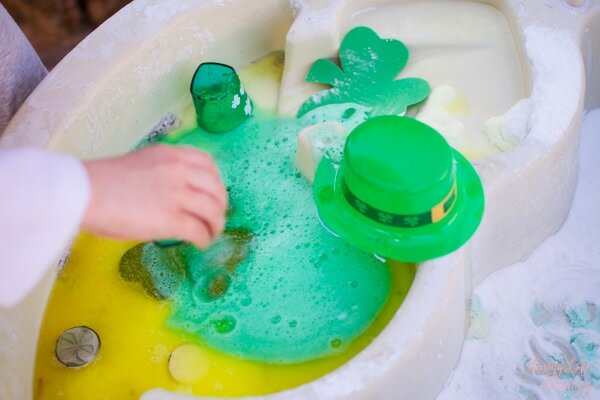 St. Patrick’s Day-themed items. 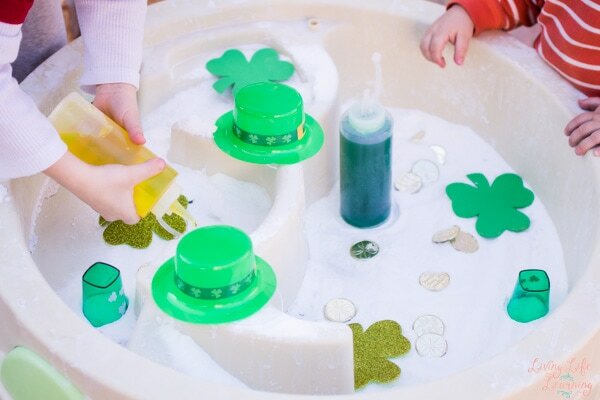 We had gold coins, foam shamrocks, green shot glasses with shamrocks on them, and small green Leprechaun hats. E went straight for the yellow squeezy bottle. 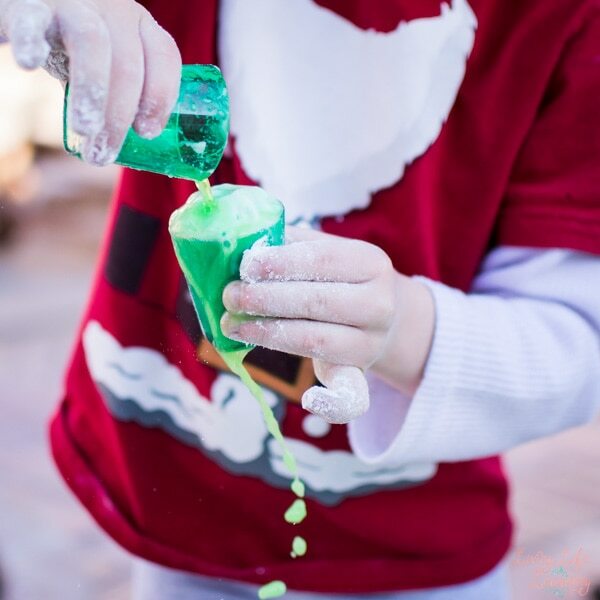 Once the yellow squeeze bottle was empty, E switched to the green one – and poured the vinegar into shot glasses before pouring it out on top of the baking soda. 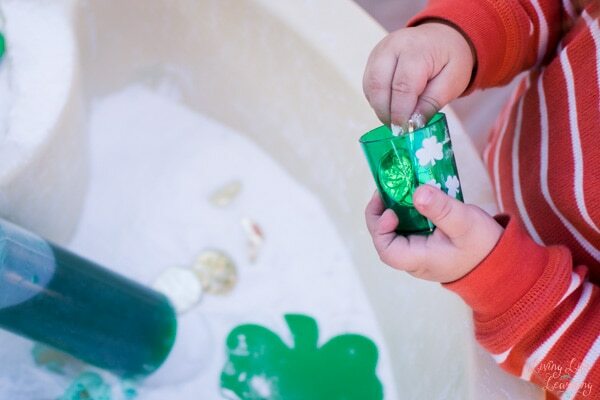 There wasn’t enough vinegar to flood the bottom compartment of the water table, and when the green bottle was empty, E started playing with the moist baking soda. 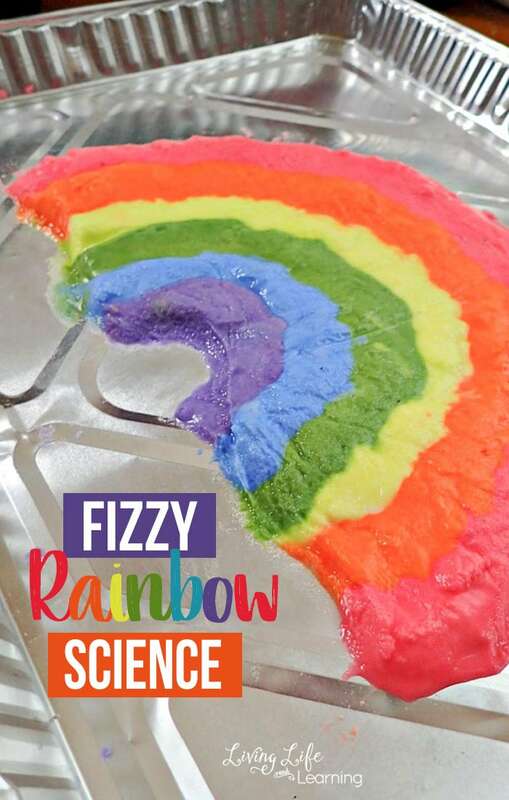 I loved this yummy creation E served me! Want to try some other ones? 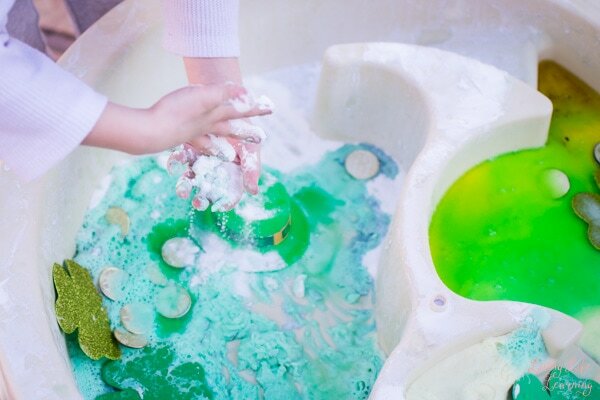 Toddler Play with Foamy Blocks and Rainbow Shaving Cream Paint on the Mirror were lots of fun, too!